It's time to update your weekend wardrobe. With a checked pattern on the outside and contrast pop of colour inside, our double-fabric shirt works as hard as you do. We've added a shaped hem so it looks smart even when worn untucked, and a chest patch pocket to give it a sophisticated-yet-relaxed feel. 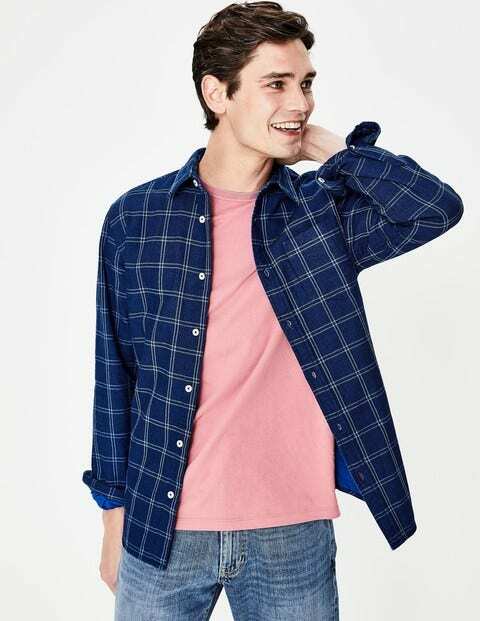 Classic Boden touches, including subtle stitching down the front and the contrast buttonhole, make this an essential addition to your casual favourites.